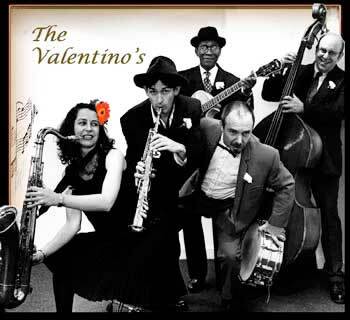 The Valentino's are a professional jazz band who have been performing regularly at weddings, festivals, riverboat trips, parties and private views. 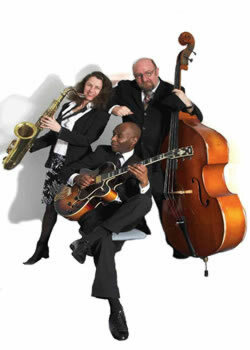 We have a large repertoire of tunes to suit any occasion, from mellow dinner jazz, to up tempo latin , groove and rock and roll. 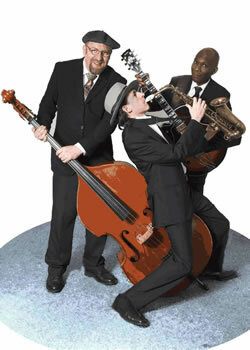 We regularly perform as a trio or quartet. We also work with a vocalist when required. We can play anywhere, from a festival stage to a living room, and usually work with a minimum of technical requirements, or can play acoustically if necessary.